Toledo dentist, Jon Frankel is known for designing hundreds of beautiful smiles. Guests breeze in and out, often beaming their smiles at the high tech office. It is as if they were dropping in to visit friends or family. 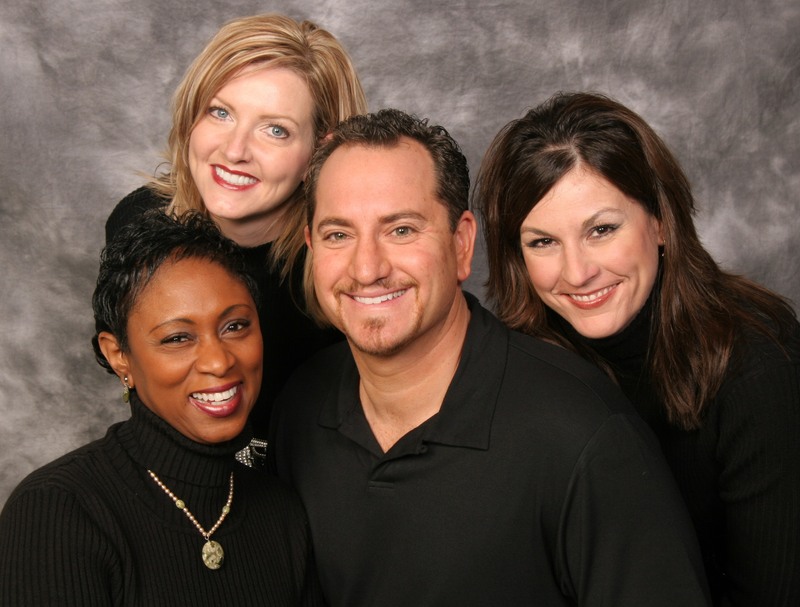 Dr. Frankel credits his skilled and continuously trained team with bringing joy to dentistry. Dr. Frankel has recruited a dream team of dental players including associate dentists, registered dental hygienists, expanded function dental assistants, certified dental assistants and office staff administrators. Every team member is vital to the oral and dental health each guest. It can be confusing for a guest unfamiliar with inclusion of dental auxiliaries. Dr. Frankel defines each member of his team so you won’t be left asking, “Who was that masked man (woman), anyway?”. 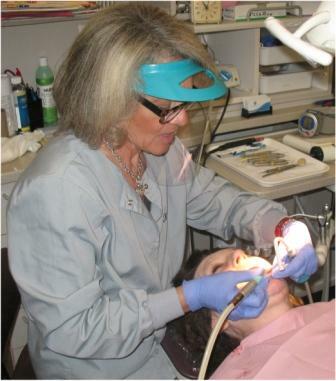 A CDA is an accredited graduate, board tested and licensed professional whose duties include: Placing sealants, polishing fillings, removing cement, making cytological smears, taking bite registrations, taking impressions for temporary appliances and prepared teeth, cementing orthodontic bands, retraction of the gum tissue with retraction cord and retraction agents, coronal polishing and sore spot adjustment of a denture or partial under supervision. An EFDA is a graduate of a EFDA program, who has passed the State Board and applied for and received permission of practice whose duties include: Preparing teeth for and placement of sealants and restorative material (fillings), aspiration and retraction, intra-oral instrument transfer, preliminary charting, taking impressions for models, custom mouth guards, trays for application of medicaments, application of disclosing agents, caries susceptibility testing, demonstration of oral hygiene instruction, shade selection, application of topical anesthetics, pulp testing, fluoride and topical desensitizing application, application and removal of periodontal dressings, suture removal, placement of rubber dam, intraoral bite registration, radiographs, supportive services such as sterilization procedures, positioning of patient, monitoring vital signs, taking photographs, recording treatment, progress reports, consultations, check, place and remove orthodontic bands and brackets, dry and place medication in pulp chamber and canals during endodontic procedures. 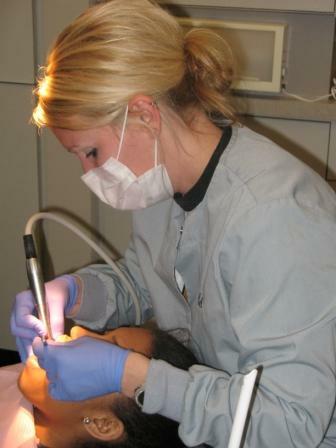 A Licensed Registered Dental Hygienist is a graduate of a Dental Hygiene Program, who has passed the State Board, applied for and received permission of practice for duties including: Local anesthesia, periodontal scaling and root planing, soft tissue curettage, administer Nitrous Oxide, Study cast Impressions, place periodontal dressings and sulcular prescribed materials, bleaching of teeth, removal of sutures, prophylaxis, polishing the clinical crowns of teeth, removal of calcareous deposits from crowns and roots of teeth, take radiographs, administer local anesthesia, fluoride application, placement of pit and fissure sealants.